Steel 1.5mm Cable with Loop for Brass Rod Rail, S-hook Anchor, Moulding Hook and other systems. 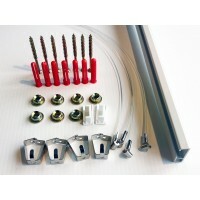 Prices from £1.99 for 1m lengths; up to £3.99 for a 3m length. Can be custom made to any length. 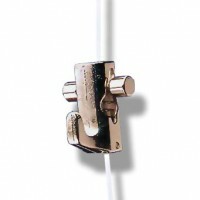 Also 2mm steel cable available. 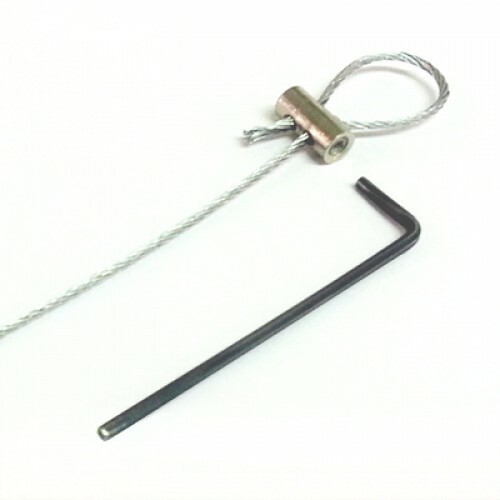 The Self Locking Hook is a versatile hook. 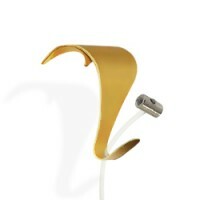 In fact, it can either be install on 2mm perlon cord or 1.. 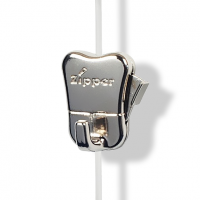 The Zipper Hook is one of our bestseller and probably the most well-known for picture hanging system.. 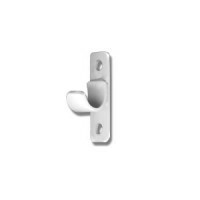 The Self Locking Cable Hook is a very reliable mid-range hook for picture hanging system that includ.. 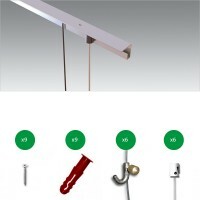 Traditional Wood Moulding - Picture Hanging System. 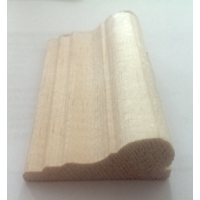 Old style, traditional wood picture rail / mo..
Moulding Hooks are used with old Victorian style picture moulding! They enable you to suspend tra.. 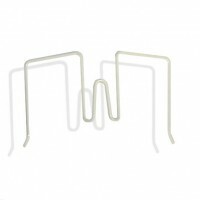 This heavy duty Moulding Hook is used with old Victorian style picture moulding! 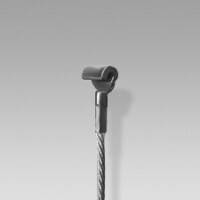 It enables you..
S Hook Anchor for J Rail, C rail and P Rail. 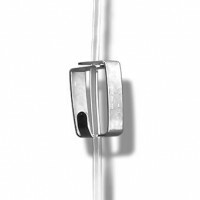 S-Hook Anchors to use with transparent Perlon Cord or .. 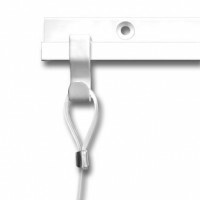 This Screen Anchor will fit a Screen/Panel that has a thickness of 11mm. The Screen Anchor is a sim.. 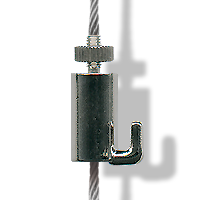 This Screen Anchor will fit a Screen/Panel that has a thickness of 16mm. The Screen Anchor is a s.. 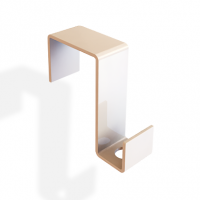 This Screen Anchor will fit a Screen/Panel that has a thickness of 18mm. The Screen Anchor is a s.. 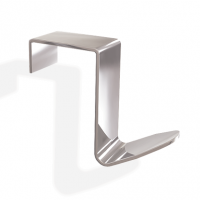 This Screen Anchor will fit a Screen/Panel that has a thickness of 21mm. The Screen Anchor is a s.. 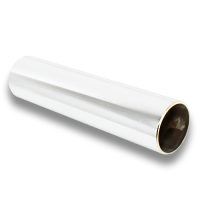 This Screen Anchor will fit a Screen/Panel that has a thickness of 25mm. The Screen Anchor is a s.. 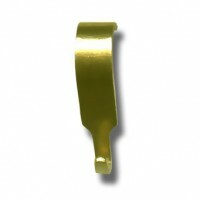 This Screen Anchor will fit a Screen/Panel that has a thickness of 28mm. The Screen Anchor is a s.. 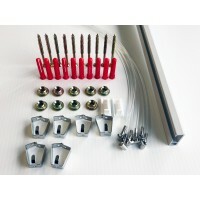 The Screen Anchor is a straightforward, effective way to hang pictures, paintings and photos; on exh.. 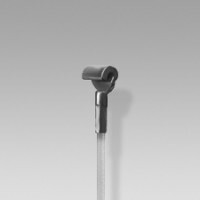 The Flexi Screen Anchor is designed to use 'Looped' Perlon Transparent Cords and/or Steel Cables. ..